10:30 a.m. 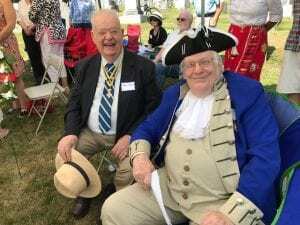 Rain or Shine, Author Visit, Story Time, Book Signing, Children’s Craft & Cannon Firing! 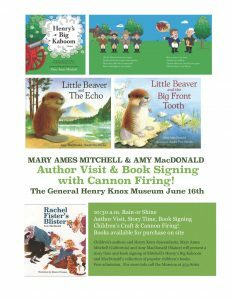 Children’s authors and Henry Knox descendants, Mary Ames Mitchell (California) and Amy MacDonald (Maine) will present a story time and book signing of Mitchell’s Henry’s Big Kaboom and MacDonald’s collection of popular children’s books. Books available for purchase on site. 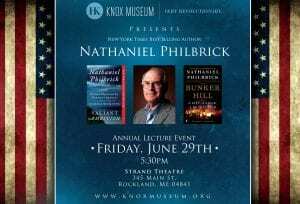 Free admission! 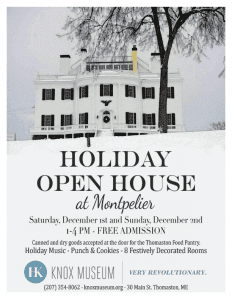 For more info, call Knox Museum at (207) 354-8062. Exhibit open July 1st-3rd, 12:00-4:00pm. 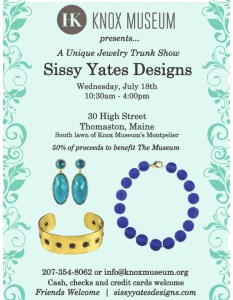 In partnership with MAINE MILITARY HISTORICAL SOCIETY MUSEUM. 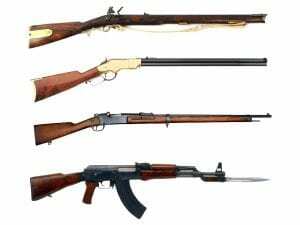 Come and enjoy an amazing exhibit that showcases the evolution of weaponry. Graveside Ceremony & Birthday Cake. 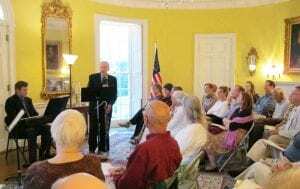 This event is free for all. Come & celebrate the General's birthday with us and enjoy some cake! 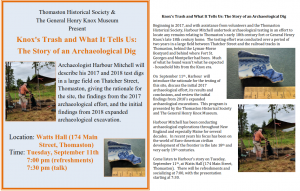 Archaeologist Harbour Mitchell will describe his 2017 and 2018 test digs in a large field on Thatcher Street, Thomaston, giving the rationale for the site, the findings from the 2017 archaeological effort, and the initial findings from 2018 expanded archaeological excavation.